From Nigeria to Niger, Chad and even Cameroon, thousands of families have been affected by the violence and terrorism of Boko Haram, the group notorious for planting bombs, killing civilians, abducting women and girls, conscripting men and boys, and destroying villages and towns. More than 1.5 million people have been forced to collect what they can and flee their homes in search of shelter. Yet in Niger, one of the poorest nations in the world, families are opening their doors and offering everything they have: shelter, food and solidarity. And Catholic Relief Services is there to help. 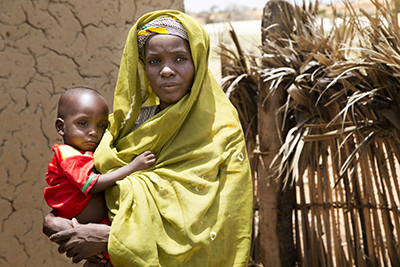 But in their generosity, families like Abdou’s have depleted their basic resources—food, seeds, livestock and savings. The influx of refugees has strained their limited community infrastructure, affecting access to water, hygiene and sanitation. That is where CRS and Caritas come in, supporting thousands of families hosting those fleeing Boko Haram violence with cash-for-work programs and cash grants so people can meet their basic needs and begin rebuilding their livelihoods. CRS is also helping communities improve sanitation and hygiene through public awareness and education. More than 105,000 displaced people from Nigeria were in the Diffa region of Niger when CRS launched ERASeD, or Emergency Response and Sanitation, in 2015. The Diffa region was ill-equipped to take them in. Abdou’s community in Gamdou village has faced years of inadequate food production, which has led to serious malnutrition in children and adults. Nevertheless, these communities stood—and continue to stand—in solidarity with survivors of violence, opening up their homes and sharing their meager resources. “Even if the rainy season wasn’t good, we need to help them,” says Abdou. While the flow of displaced people has dwindled in recent months, thousands of refugees remain in Diffa. Around 81% are living with host families. 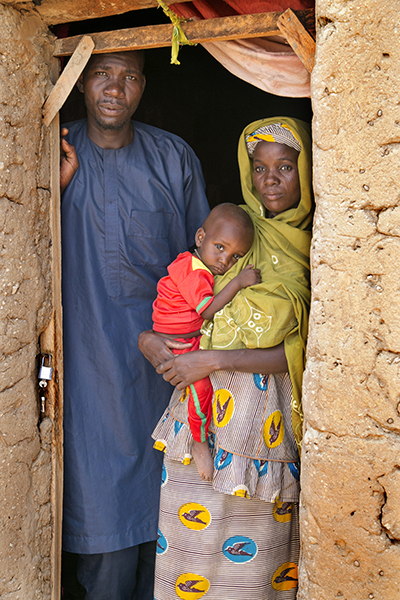 With support from the U.S. Agency for International Development's Office of Foreign Disaster Assistance, CRS and Caritas are assisting more than 3,000 households located along the border, roughly the western two-thirds of the border between Niger and Nigeria. Cash from the work and grant programs helps households purchase seeds and fertilizer, health care and medicine, clothing and food. This flexibility is critical, as it allows people to choose how to meet their most pressing needs. From July through September, Abdou Budum and his wife, Kolema Boucar, have received roughly $66 in exchange for community work. Learn more about CRS' work in Niger. Michael Stulman is the CRS regional information officer for western and central Africa, based in Dakar, Senegal.